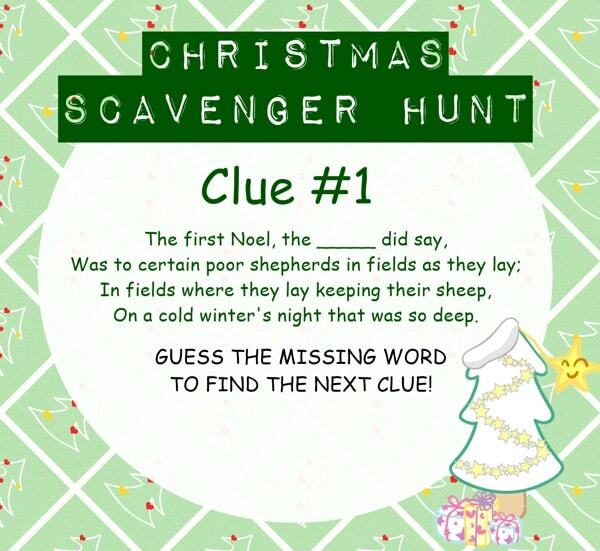 Christmas Scavenger Hunt – A MUST TRY! Do you want to lighten up the room with an exciting activity? Are your kids mostly busy with their gadgets instead of spending some quality time with siblings during the holiday season? Or are you just wanting to try something different this year to celebrate the festivities of Christmas? We have the answer to all those thoughts! 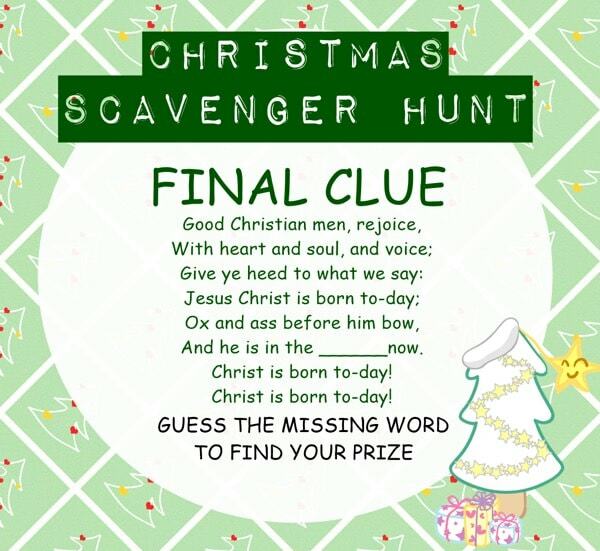 Why not do a Christmas Scavenger Hunt? It is an engaging game that will require full-on attention that can distract your child from all those gadgets and computer games. It requires team effort, especially when finding clues to reach the prize or gift. EASY PREP! You can use any material or any part of the house. It’s a fun way to encourage your kids to use their imagination through the help of clues. Since it’s very easy to prepare, it is also very easy to clean up since you’ll only use the items inside your house. Unless you go “all in” and include Christmas confetti and glitters. 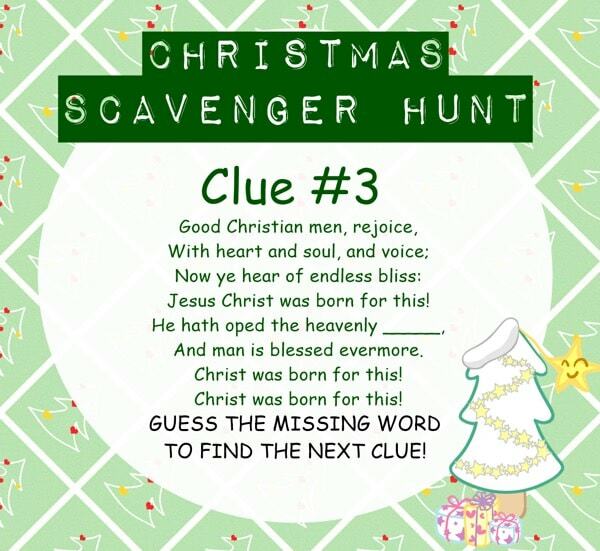 A Christmas scavenger hunt game is very exciting that will definitely leave your kids asking for more activities like this one. 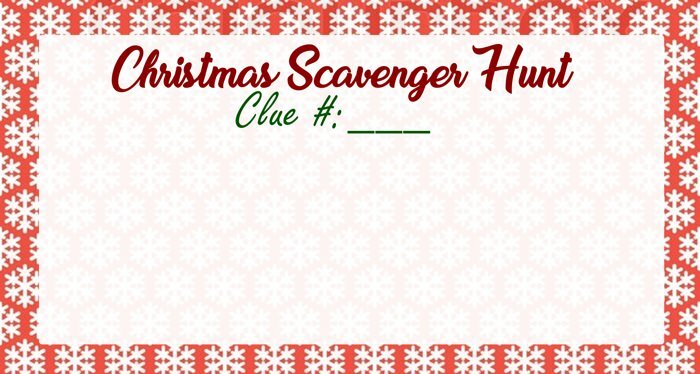 To start a Christmas Scavenger Hunt, it will be easier to plan ahead with your ideal flow of the game. Scan your house for spots or places where you can hide fun Christmas clues. Prepare clue cards that will guide your children from clue to clue. Good news! We’ve provided a few blank printable clue card below to get you started! Just print, cut and write down the clues. Or you can also create your own format of clue cards. If you want to make it extra challenging, you can wrap and hide the clue cards so that they will be harder to find or locate. 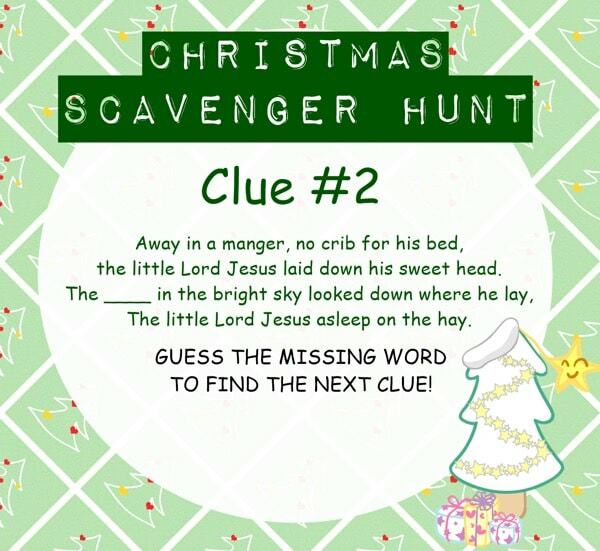 Learning how to play a Christmas scavenger hunt activity is easy! You simply need to create a number of Christmas clues that guide players from clue to clue until they find the final prize! As for the prize or treasure, you can use Christmas gifts or delicious Christmas treats! Personally, I like to provide a Christmas gift that is yet another clue to what their “big” gift may be on Christmas day. The sky is the limit! Aside from the exciting experience, the idea of playing a Christmas Scavenger Hunt is also a perfect way to teach your kids how to have fun and work together to achieve an end goal. Our family LOVES this tradition and look forward to new challenges/clues each year!